If it’s not your style to be inside a gym on a summer day, you’ll be glad to know that there are several free outdoor fitness opportunities throughout this area. 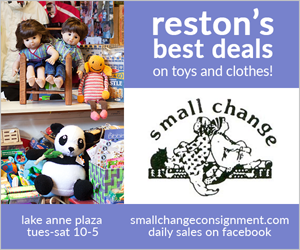 Here are some weekly options for you in the Reston area of Northern Virginia, including Great Falls, Fairfax, and Tysons. All are free and social ways to earn your summertime ice cream and sangria. Free yoga classes take place at Lake Anne Plaza on Sunday mornings. Yoga instructors will lead you through one hour of waterfront exercise on the Plaza. Every Sunday through August 28, 2016. Take part in a free yoga class in the grassy area at the Mosaic District. A different class is taught each week, including barre, bootcamp, yoga, and zumba. Every Sunday through August 14, 2016, and sporadically through the fall. 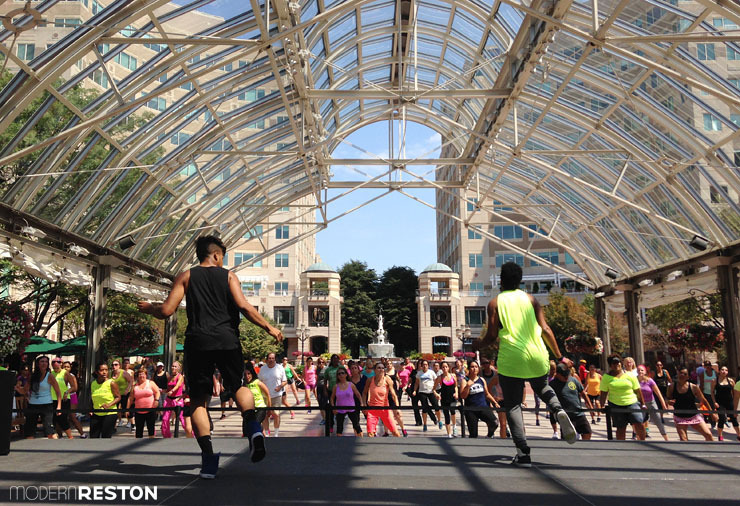 End your work day with free yoga at Reston’s newest urban plaza. Every Tuesday through August 16, 2016. This free group run is held in cooperation with the Reston Runners club and welcomes runners of all skill levels. This free workout uses the Powerwave training device for core strength and physical endurance. Enjoy a yoga class for all levels at the parklike Village Green. A variety of fitness classes are offered on Sunday mornings at Reston Town Center’s Athleta Fitclub.